Morpho QuickPanorama Pro for Symbian^3 Anna and Belle lets you take panorama photos easily with one-button capture. The latest version includes a major improvement on the output, plus easy link to Facebook and Twitter for the best quality results and easy to link with people. 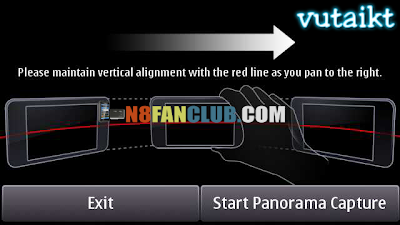 Enjoy the new.QuickPanorama Pro for easy-to- use high quality panorama photography on Symbian^3 Anna and Belle devices.